Loving it at ‘The Lounge’ | Business Article | MBA Skool-Study.Learn.Share. Picture this. You are entering a coffee bar with your dearest buddies. You are about to push the crystal glass door before a small door-sign catches your eye. It reads, “PUSH for the best coffee”. The line may be simple enough but how many times do u come across such door-signs? Well, that’s the level of customization that you get to see at Café Coffee Day’s ‘The Lounge’. The Lounge is a brand of Café Coffee Day which in turn is a division of Amalgamated Bean Coffee Trading Limited headed by V.G Siddhartha who owns 7400 acres and manages 2500 acres of coffee in Karnataka. The Lounge is a specially created format for the coffee lover who wishes to indulge in the selective art of brewing and drinking coffee which is complimented by the right combination of food, in a relaxed and comfortable ambience. It has been growing from strength to strength over the years and remains a special focus for the company as a part of its expansion plans. The company aims to have a total of 100 Lounges by 2014. So what exactly is ‘The Lounge’ and how is it different from the Café Coffee Day we know? 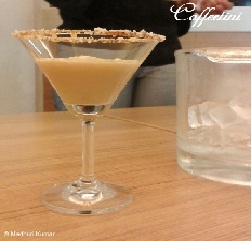 ‘The Lounge’ stands out from the crowd of Café Coffee Day’s own outlets in many ways. Café Coffee Day has primarily targeted the ‘youth’ consumers in the age group of 15 to 29 years who are on the lookout for a place to hang out over a cup of coffee and look cool in the process. However the segmentation for ‘The Lounge’ has been more of income based than age based. In fact the whole idea of ‘The Lounge’ was conceived keeping in mind the increasing levels of disposable income in India. More than mere coffee drinkers, it targets coffee lovers or coffee connoisseurs who are willing to spend that extra buck to experiment and savour different coffee blends. 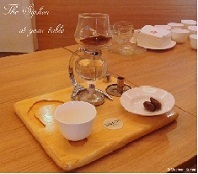 As seen in the image above, it positions itself as the best provider of coffee by providing a platform for a consumer to bring out the best in him. Product - The products offered by ‘The Lounge’ are exotic to say the least. 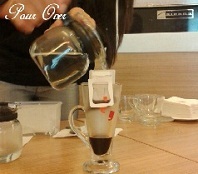 In fact, the USP of the outlet is the alternative brewing techniques which are used to blend coffee right in front of the customers on their tables. 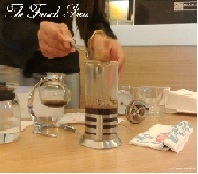 The techniques could be the Japanese style of ‘Siphon’, or the ‘French Press’ of French origin or the famed ‘Pour-over’ from the United States. There are also the Coffeetinis- their award winning rank of four luscious mock-itinis prepared by an alternative brewing technique called ‘Mixology’ and served in classic Martini glasses. An average CCD loyalist needn’t worry either as their trademark products viz. Capuccino, Tropical Iceberg, Iced Eskimo, Choco Frappe, Kaapi Nirvana, Dark Passion etc. and the usual desserts are also available.The beverages are then paired over gourmet cuisine instead of mere fast food as in traditional Café Coffee Day outlets. The cuisine is largely European-styled complemented with the same customization we talked about earlier. It includes Pastas,Salads,Pizzas and Sandwiches which are made based on the combination desired by the consumer. And that’s not all, there is enough to satisfy the patriots too as ‘The Lounge’ also provides its customers with a wide range of Indian varieties ranging from Veg. and Chicken Biryani to Paratha ,Palak Paneer and Butter Chicken. They have also infused a lot of thought and creativity into their packaging. A customer at ‘The Lounge’ will find 2 menu cards on his table – ‘As you like’ menu for pizzas and sandwiches and the ‘Flip over’ menu for the rest. An ‘As you like’ menu can be used by a customer to customize his sandwiches and pizzas by deciding his own choice of bread,toppings,sauce etc. The options will be listed in the form of checkboxes which the customer has to mark before placing his/her order. 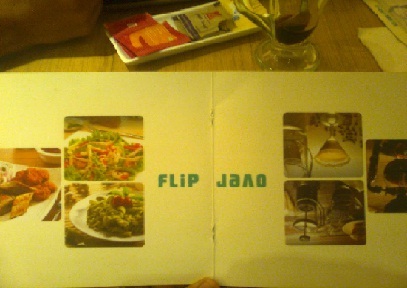 The ‘Flip over’ menu is unlike any other menu you would have seen. In terms of its sheer simplicity and creativity,it’s a masterstroke. Instead of providing 2 separate menu cards for food and beverages or cluttering both food and beverages within the same menu card, the flip over menu can be opened from both ends- one end for food and the other for beverages. Place – High streets, premium malls and airports are the locations that are primarily targeted. Marketplaces which witness a considerable footfall of people with deep pockets also serve to be ideal locations. As for the interior of the outlet,it is elegantly designed. The lounge is spread over a spacious ambience which enhances the overall experience. The walls are decorated with colored paintings which reflect the upmarket sensibilities of its target crowd. As opposed to the marble and granite tables generally found at Café Coffee Day outlets, ‘The Lounge’ has more of wooden tables. Of course glass tables are there too. Seating is comfortable. The chairs have cushion and the couches have small pillows to rest your backs against. Since it’s more of a restaurant than a mere coffee bar, it also has an inhouse kitchen which is strategically located behind the service counter making it easy for the attendants and the consumers to be in a congestion free surroundings. Even the illumination adds to the classiness of the place. Overall the place has a very welcoming feel about it. Price – As a premium product targeted at high disposable income group, the pricing of the products is naturally higher than conventional Café Coffee Day products. However one must not forget that the price also accounts for the experience and ambience that one gets there. 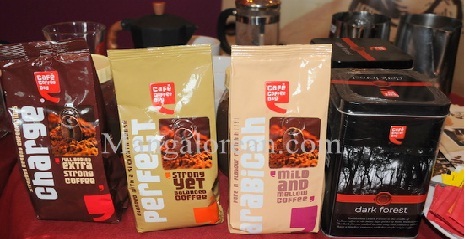 The traditional Coffee Day products are charged at an average upward price differential of nearly 40% at The Lounge. An Expresso at a CCD outlet will cost you Rs.43 while the same Expresso at The Lounge will cost you Rs.78. Cold Coffee,desserts and sundaes are priced in the range of Rs.93 to Rs.156. while the Indian dishes cost in the range of Rs.140 to Rs.187. Besides one can also avail of the inhouse Wi-Fi at any Lounge outlet for Rs.27 an hour. Promotion – As with the tradition of Café Coffee Day, it doesn’t rely on heavyweight promotion. In fact it doesn’t even serve as a marketing medium for other brands. So you will never come across display boards featuring cuttings and posters of youth centric events or brands in ‘The Lounge’. Of course the packaged CCD coffee beans can be bought here. And they also promote 9XM by playing it on their television. As for online marketing, Café Coffee Day has its own dedicated website for ‘The Lounge’ which updates its latest news and happenings. The design of the website is also in sync with the experience of having a cup of coffee at the Lounge. Facebook and Twitter are also used to interact with the customers. Thus, ‘The Lounge’ is an ideal place for a ‘coffeeholic’ to get coffee-high on some exquisite coffee and also satiate their appetite for some exotic varieties of food - both Indian and continental. It aims to provide so much customer delight at every stage of the experience, that it also makes sure you leave the restaurant with a smile when you find a door-sign which says, “PULL to shed some calories” This speaks volumes of a company which is driven by customization right from its doorstep to the cup and back to its doorstep. This article has been authored by Renjith Menon from IIFT, Delhi.